We offer a 5 year warranty on all Exterior paint jobs! There are many uninsured “painting contractors” To protect yourself you must hire only true painting contractors who carry workman compensation and liability insurance. Q. Why do people come back to you for house and office painting? A. People appreciate our quality, reliability, honest approach and competitive prices. Q.Do you offer free interior or exterior painting estimates? A. Yes, fully detailed with all costs, products and a project time-line, etc. Q.What kind of satisfaction guarantee do you offer? A. If, within Five years of completion, there is the unlikely event of peeling, blistering, or chipping paint resulting from defective workmanship, we happily repair the situation! A. No! To meet our standards of workmanship, quality results and total customer satisfaction, we only use employees, nothing gets contracted out! Q.Can I get an estimate over the phone or by email? A. Unfortunately NO. Many factors affect the cost of a paint job both positively and negatively. The condition of surfaces, absorption of substrate, amount of detailed work, numbers of windows, doors, columns, etc. all affect the cost. That is why ThinkPainting Company, offers an entirely free no obligation inspection and estimate. Q.I have more than 1 property that needs painting. How much of a discount do you offer? A. We do offer substantial discounts / rebates if you want our services for more than one property. Please request a free estimate and we will gladly discuss this with you. Q.Does someone have to remain home while the painting is being done? A. No. It is normal for both husband and wife to have to work outside of the home. This presents no problem whatsoever for us. However, we will probably need access to the house in order to open the windows and doors in order to paint them. Don’t worry our painters will respect your property the same as they would if you were there. Q.In a home, how many painters will be present? A. This depends on the size of the home and the time frame for the project’s completion. However, you can expect a crew of 3-5 painters. A. Of course. If you are satisfied with your estimate of work we will supply references. Q.Which method is better for applying outdoor paint, brush or spray? A. Both spraying and brushing are fine, so long as the paint is put on at the proper spread rate. Spraying will give you a smoother appearance and less chance for mildew to get into brush murks and grow. With spraying, the painter has to be careful about getting a full coat onto areas that are next to areas that won’t be painted, so careful masking must be done. A. Paint that can be thinned and cleaned up with water; used as a base for emulsion paints. Q.Is there a paint that is guaranteed not to mildew? A. No there is not. Mildew is a microorganism that can live off all types of surfaces(except metal and zinc). Washing it with a 1:4 mixture of household bleach and water can kill the mildew. Q.Can you paint over mildew? A. Yes, but it is not recommended since it will grow into the finish coat of paint. 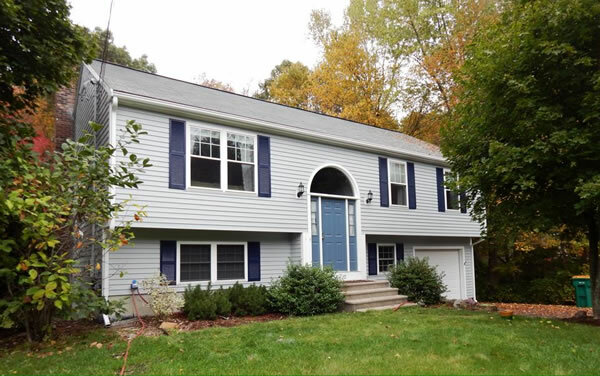 Q.How does the cost of an exterior paint job compare to traditional siding? A. Usually, exterior paint jobs are much less than installing quality vinyl siding. Q.How often should you have to paint the exterior? A. There are too many factors to consider, however, a good quality job done by a professional crew should last about 8-10 years. Q.How is my property protected during painting? A. Drop cloths are used underneath all areas being painted. Walkways, furniture, shrubbery are all covered during painting. Q.My property currently has oil-based paint, can I switch to an acrylic latex enamel? A. Yes, but there are steps that must be taken beforehand that only a knowledgeable contractor can explain to you. Q.My friend has this color on their house that I like, can I use the same color, and will it look the same? A. We can get the same color, but lighting, landscaping, and other factors may give it a a different look on your house. Remember, that every house is different and the color may not have the same effect on your home as it does on theirs. 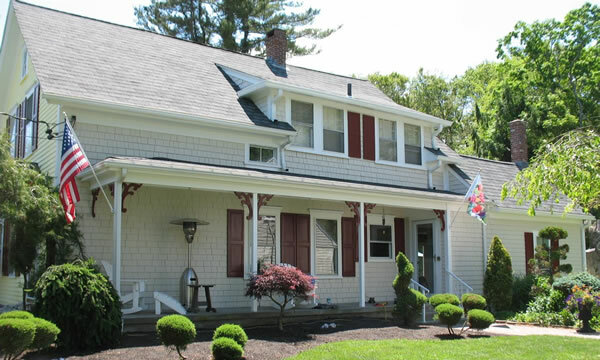 "Nick did an awesome job on the interior and exterior painting of our home. 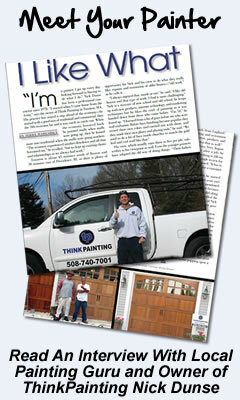 Nick has been painting our homes over the last 25 years and is neat, very reliable and trustworthy and a real painter!"